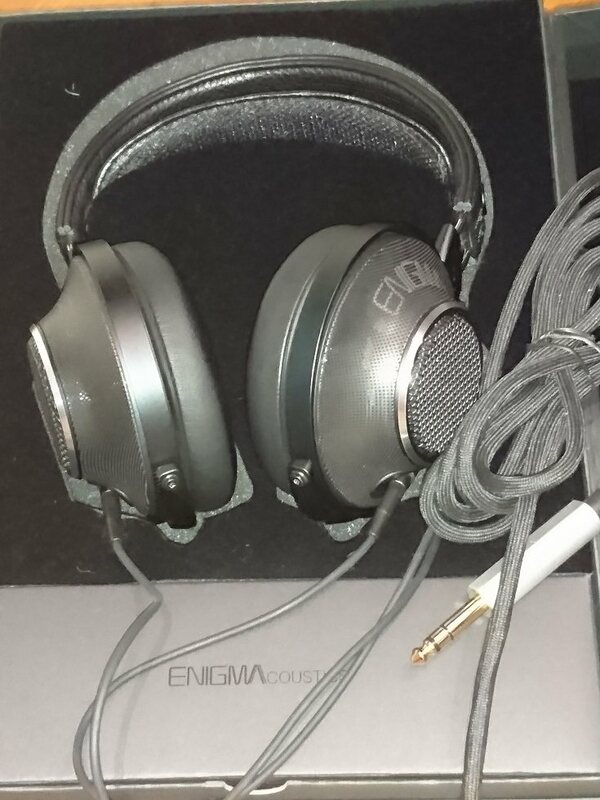 Just got another pair of headphone after a lengthy hiatus (for me anyway), it's an ENIGMAcoustics Dharma D1000. Each cup has a hybrid electret + dynamic driver configuration. So far, initial impression is that it has a pretty wide soundstage, cannot match the HD800 but similar to the AKG K812, with sparkly treble and nice mid bass slam (far from basshead level though), certainly more enjoyable than the HD800 for Pop songs since it does have a pretty nice presence. I've been waiting patiently for one to become available in the local Garage section of the local forums, when this beaut turned up for about 660USD, I was all over it like a bad rash. 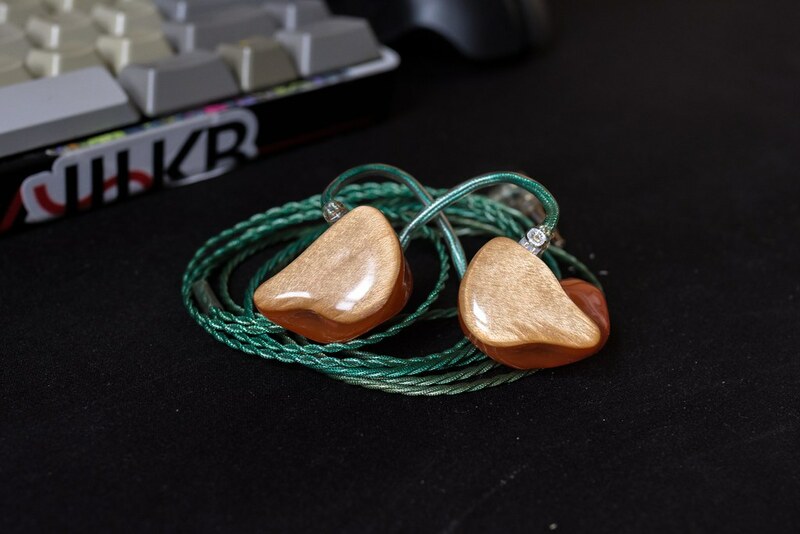 nice im getting new ones soon going to shanghai for headphone festival in november. I use a pair of Sennheiser HD 598's in black. Really love the sound and the comfort. Managed to snag a used HD600 at about 110USD, the headband cushion/pad needed to be replaced (already did in my pic). The best part is, the can is in near mint condition and sounds terrific.....now I get why it is so loved in the audio community. I have never like the sound of Sennheiser cans...but then again that is my opinion. Those look really nice though. What is your taste? Sennheiser is damn nice. I think they're great, like the HD6XX which is a tad warmer with perhaps a little, a smidgen really, more bass. But then, our preference is so colored by our own personal taste and hearing....the old saying's so true when it comes to audio, "One man's meat is another man's poison". See? Case in point....I'm curious though, what is your sound preference? I prefer as neutral as possible and a larger sound stage. Just bought the HiFiMan HE4XX so will see how those sound. I would say Sennheiser is always On Point and Reference focused..
Sennheiser is great... I love my HD700 trebble canons (allthough now I've got the mobius I won't be using them for gaming as much anymore, but for classical music etc. (or on my ePiano)). 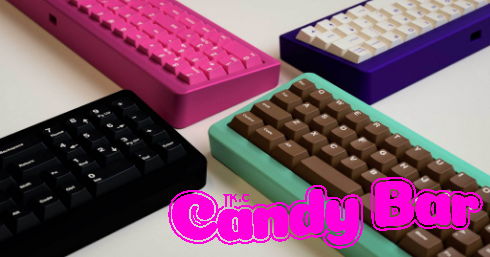 Can't wait for Dekoni to finally release the custom pads for them. I have seen three camps for Sennheiser, I am in the "Don't like and won't buy, but won't give hate" camp. I have just never liked the sounds for the ones I have listened to(also can't remember which ones at this point I have, too many numbers to remember lol), If you like them then good for you, have fun with listening to them because that is all that matters in the end. I have heard electrostatics that didn't even do it for me because the cost doesn't really justify the sound, but the guy who had them loved them to death, I just didn't see any gain in clarity that was truly worth the cost. Likewise, I don't hate on other other can makers as well, hell I have cans from Audio Technica (ATH-A900X LTD, ATH-R70X, ATH-AD700X), HiFiMan (HE1000, HE560, HE4, HE4XX), Denon (AH-D7000, AH-D2000), AKG (K812)....in fact, I have way too many cans and I've decided to sell some of my lower end cans. I get that you want a neutral'ish cans, but just about all cans are colored since a truly neutral can would sound......boring, wouldn't it? I get that you want a neutral'ish cans, but just about all cans are colored since a truly neutral can would sound......boring, wouldn't it? Neutral wouldn't be boring, it would be the best representation to what the audio should be, it would be like listening to it in person rather than through headphones. Is it possible to be truly neutral, no but that is my preference to be as close to that as I can get on a lowish budget, which is hard but I really hope the HE4XX's sound as good as I have heard they are. ur confusing neutral with natural. Not really, neutral would describe headphones that don't favor any frequency range in particular and therefore have a flat response. Natural may also describe the same thing, but it doesn't mean what I said is wrong. I dunno, I do agree with Sifo that there's a difference between 'neutral' and 'natural'.....I've never studied the audio field, but I don't think a completely neutral headphone would necessarily sound natural. In other related news I found some pads for my old Ultrasone Pro 750, after years of looking they're back on the official Ultrasone site so after two attempted orders to get one through intact they'll be here in a couple of days and no import tax. Expecting the package and pads to arrive ripped, such is my luck lately. Hoping the v-shaped sound profile isn't too severe. Everywhere I've read, they've been described as having a "slight" one. I mean, I know the V6 isn't particularly flat, so I'm not too worried about that. 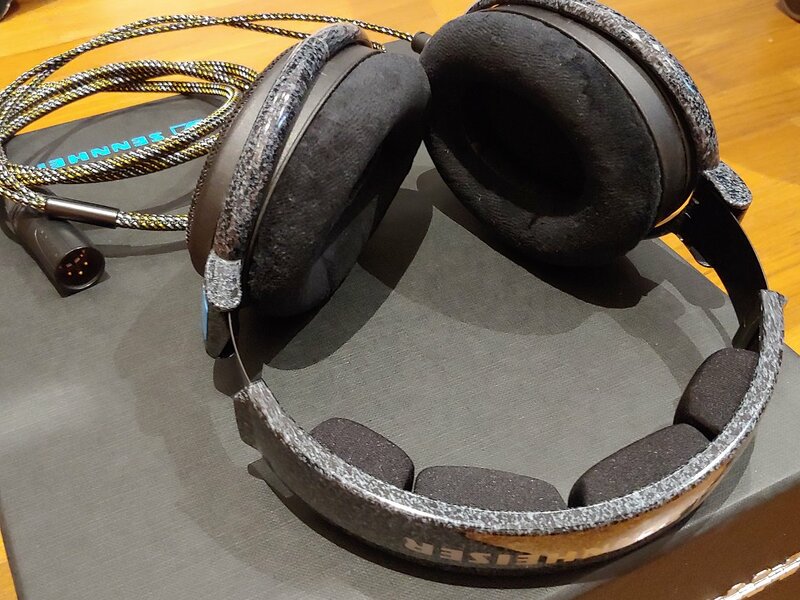 I had the Superlux HD668B's for a long time (Same thing as the SR850's) and They are known to have sibilant highs, but if you get velour pads they sound really good for what they are. Honestly loved them because they were amazing for how cheap they are. Upgraded to the HiFiMan HE-4XX after the HD668B's broke for the second time. I know the Beyerdynamic velour pads were nice. I had them on my first pair of V6's, then the 7506's I got after our then-young & naive kitty Avery got tangled in them, freaked out, ripped them apart trying to get free and they had to be replaced, then the M40x's I got after when my mom had a seizure while borrowing the 7506's and accidentally ran them over with her wheelchair, and then the new V6's when my mom defended the M40x's from a thief who managed to break them but didn't get away with them. Unfortunately, the pads didn't last long on the newest pair of V6's, because of all the abuse they went through over 4 different headsets... I think I'll add them to my list haha. I loved those things. Yeah, I guess you might see why I'm attracted to the reduced price. Honestly have debated about buying another pair just to have around because I did like them. And for the longest time I didn't want to spend the money on good ones because I was in college and had no income. I'm honestly lucky if I have 90 dollars for the whole month left over after bills, groceries and whatnot. As I mentioned, I make only 750 dollars a month, and rent seems to rise every year (although the housing authority eventually steps in to level out the cost). To top it off, our local power company--KCP&L--changed how they figure budget billing, which means rather than a stable constant price, I now get to look forward to a brand new one pulled out of their rear every 3 months. Past three months it was 207 a month. The next 3 months will be 185. I'm using about 127 dollars worth of power a month, but due to how they constantly adjust the price people not on budget billing pay, I would have to pay a one time fee of 360 dollars to get off of budget billing and not have my power shut off. Headphones higher in quality than the V6 are out of the question, as are the V6/7506 and M40x themselves if they aren't on sale for about 30 - 40 dollars off. So combined with the tendency for things to break and the lack of income, the SR850 is the most I'm willing to shell out for, and right now the best I (sadly) can afford. Will be grabbing a pair of BRAINWAVZ XL velour pads when I do get them though. That will either be as a gift during Christmas, or in January when I'll very briefly have about 100 dollars left over after everything. I hope they're as good as the Beyerdynamics I had, because apparently the Brainwavz are the only ones I can find that will fit the SR850. I didn't think I would like broadcast headphones but WOW they are great and I can confuse the ears off of anyone by playing with the phase switch when someone wants to listen with them. Definitely not audiophile-grade or the best headphones, but I'm rocking my Bose QC 35s. The noise canceling and optional wireless is pretty nice. I have and use the QC 35 IIs quite a bit. Like you said not audiophile quality but love them for travel or at work if I need to block things out. Don't have pictures (yet) but I got a pair of Samson SR850's for Christmas. Not the best I've heard so far (those are the M40x's I got on sale years ago) but definitely fantastic bang for buck. I think I like their sound signature more than the MDR-V6; I've given my pair of those to my mom, who loves their sound quality. Page created in 0.116 seconds with 57 queries.